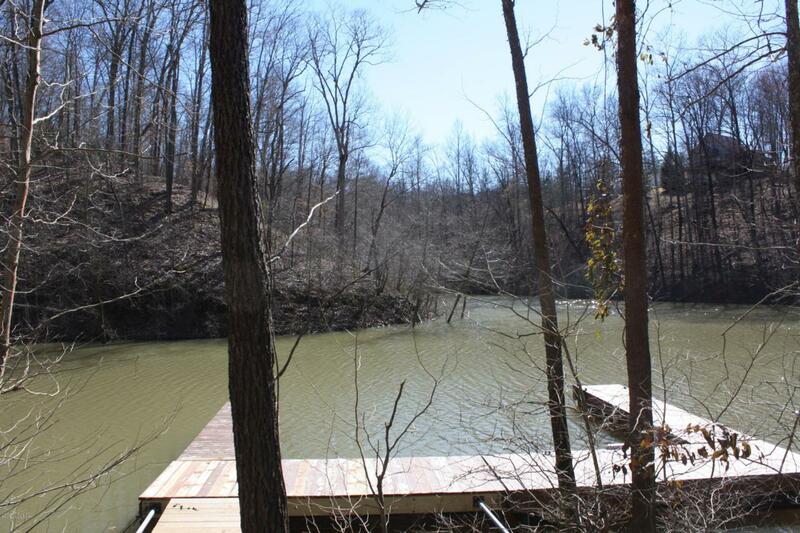 Four waterfront lots consisting of approximately two one-acre home sites, side by side are available in the highly desirable, gated Laurel Ridge Subdivision on Nolin Lake. The dock is already in place in a quiet cove & will transfer with the Corp of Engineer's permission. Lots are gently sloping with mature, towering oak, beech and other hardwoods. County water and electric available at the street. Laurel Ridge is a 50-year-old gated subdivision on a 100-acre peninsula about 1/2 mile by boat from Nolin State Park. This mature neighborhood contains only approximately 17 homes, so you get lots of peace & quiet. Waterfront lots almost never become available within Laurel Ridge and these 1.96 acres for sale are bordered by 9 acres of green space to the left, a one-half acre dedicatedlake access lot on the right and 10 acres of green space across the street. The owner will truly be secluded yet still enjoy all the peace and quiet of this beautiful subdivision. The two waterfront acres being offered for sale could have up to two homes placed on the lots. The neighborhood has a designated area to park boats and trailers, if desired. Restricted to protect your investment. Gated community, so an appointment is needed. Schedule your appointment today and see what secluded waterfront living could be like!